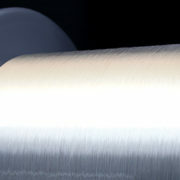 High spring characteristics realize miniaturized springs and cost reductions. 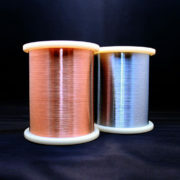 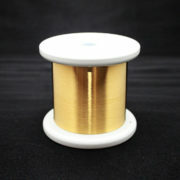 Our copper plated steel wire “Mac Wire CP” has the spring durability and fatigue strength equal to that of the piano wire and is much superior to phosphor bronze wire and beryllium copper wire for springs in terms of spring characteristics. 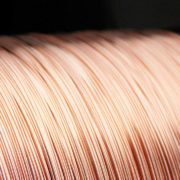 Replacing these products with “Mac Wire CP” realizes miniaturized springs and cost reductions. 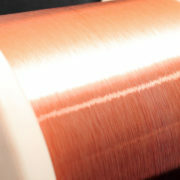 “Mac Wire CP”, with excellent lubricity peculiar to copper plating and superior coiling performance in spring-forming process as well as high melting temperature of copper, prevents burning of copper plating caused by frictional heat generated by a spring-forming machine tool. 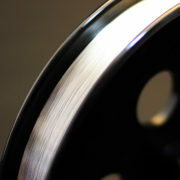 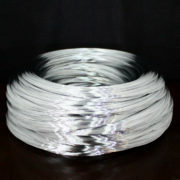 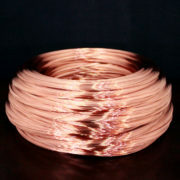 “Mac Wire CP” has more excellent spring characteristics than phosphor bronze wire and beryllium copper wire.